Take a House Shape Magnet, add a calendar, schedule or chart and you have a Custom Magna-Card! Keep your business information in front of your customers on a daily basis. 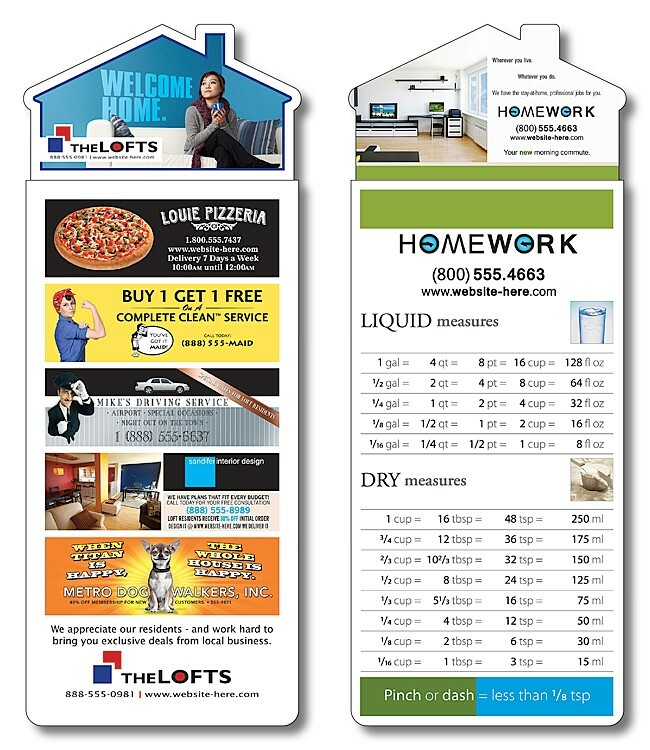 House Shape Magnet includes printing in full-color (four color process) on one side. Pantone® color match not available in full-color. Magnets are not intended for outdoor use.